Vesuvius -- The Destruction of Pompeii, Herculaneum, and surrounding areas. Textbooks: There's really no need for a textbook: there will be copious handouts. For those who just have to read more, first start with the free stuff from the internet. Click here to get started (and use your browser's "back" key to come back to this page). That old chestnut, Bulwer Lytton's Last Days of Pompeii is available, full text, at several Internet sites: the easiest to read, I think, is at http://www.gutenberg.org/etext/1565. It is neither accurate nor factual, but you may enjoy reading a period piece. Lytton is also the man who wrote, "It was a dark and stormy night...."
Recently Published: There is no better book on Pompeii and Vesuvius than The World of Pompeii. It is universally acclaimed as the most thorough, most up-to-date, and most accurate book on Pompeii and the 79 AD eruption that buried Pompeii and the other cities surrounding Vesuvius. The book is actually a compilation of chapters written by the foremost experts on various subjects related to the study of Pompeii and Vesuvius. It is available on the internet for about $40 in paperback or $250 in hardcover. It comes with a CD that contains six large-scale site maps for Pompeii and Herulanum as well as brief notes on the sources and uses of the maps. Michale Grant's Cities of Vesuvius is available in a new edition from online booksellers for about $20 (paperback), but it does not seem to be updated, so the volcanology is somewhat obsolete (1980s). You might think you know what happened to Pompeii in August of 79 AD, but whatever you learned before 1991, when Mt. Pinatubo erupted, may well be wrong. Don't blame yourself -- the world's top volcanologists had it wrong too, and it cost some of them their lives in the Philippines. Only since Pinatubo have we understood the two-stage phreatomagmatic events that overwhelmed Pompeii. The "Plinian" phase was easy. It was the "Peleean" phase that did all the serious damage and killed all those famous "petrified people". 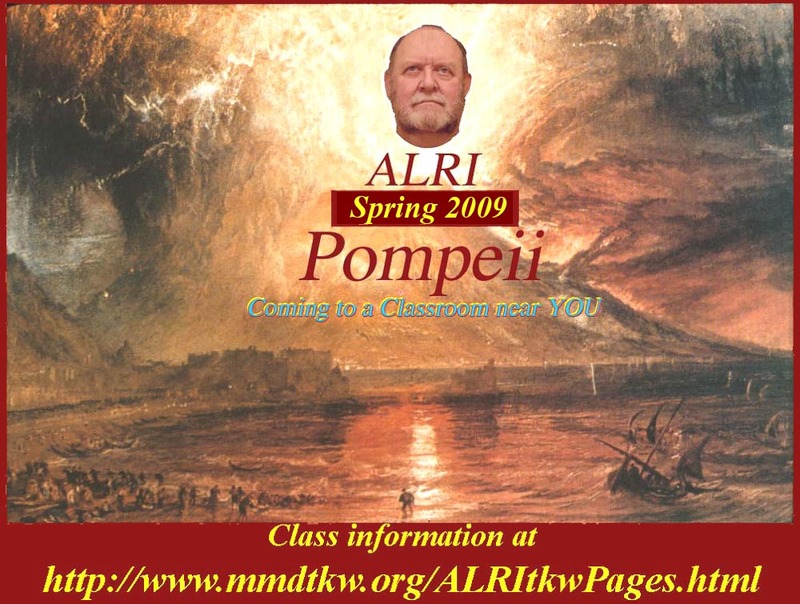 To see an animation of the AD 79 Vesuvius eruption, click here. We'll study the geology, the volcanology, the history (and prehistory), the immediate and long term aftermath, and the eventual archeological rediscovery of the Campanian "lost cities". And we'll discuss some little known facts including the two earlier total-destruction levels under Roman Pompeii and the higher casualty rate in 1631 than in the 79 AD blowout. Could it happen again? Volcanologists say yes, and now there are 1.5 million people living in the Vesuvius danger zone -- and right on top of the 400 cubic kilometer magma chamber that underlies the whole area. Does that make it still the most dangerous Volcano in the world? Only if you don't count Washington State's Mt. Rainier -- many Volcanologists say Rainier surely will have a bigger pop and it's just as heavily populated. Rainier's biggest eruption was 2200 years ago, but it had a small eruption was about 150 years ago and volcanic mudslides (lahars) in the 1960s. It's still considered active because of the 20 or so earthquakes it generates per year -- more than any Cascade Range volcano except Mt. St. Helens. Or look up the really huge "super-plume" that's under Africa -- its southern end is under the tip of South Africa and its northern extremity is near Kilimanjaro. The Ethiopian Rift (the "Great Rift Valley" in oldspeak) is its current outlet, and it's spreading rapidly (http://www.mmdtkw.org/ALRIVesAfricanRiftOcean.html): the whole continent may eventually split. The plume is thought to be responsible for the current high altitude of all of southern and eastern Africa. All this almost makes you nostalgic for worrying about meteor impacts. On the other hand, any one of the many disaster scenarios associated with the super volcanoes and super-plumes (there's another near Hawaii) would permanently solve the global warming problem.